The House and Senate are conferencing the 2018 National Defense Authorization Act that could create a separate Space Corps in the Department of the U.S. Air Force by January 1, 2019. The House included the Space Corps provision while the Senate disagreed. The Department of Defense opposes the proposal, and so should Congress. The House’s scheme would be a drastic change to the military commensurate with the 1986 Goldwater-Nichols Act, and it is unclear whether this change would help focus the armed services on space. Reorganizations are costly and time prohibitive, and Congress should first detail how a separate Space Corps would improve space capabilities while saving taxpayers’ money. Absent from debate is the role a Space Corps would fulfill or how it would de-conflict with the other Services’ operations in space. Unlike the Goldwater-Nichols Act, which fostered military jointness, a Space Corps would separate space from the joint force, and make it more parochial rather than integrating it. The House’s proposal would be counterproductive and disruptive to ongoing war-fighting efforts. In addition, it would promote a costly duplication of personnel in an already resource constrained environment. The Air Force welcomes more lethality — not more bureaucracy. Or more overhead costs. America’s lead in space technology is dwindling, so our nation must remain laser-focused on enhancing our nation’s space capabilities and invest in technological capabilities to stay ahead of our near peer competitors — not divert focus and resources towards a separate force. The Air Force is making great strides in upgrading their space capabilities. They created the Space Warfighting Construct and are shifting the space culture to a war-fighting construct in contracting, finance, and with program managers. They are making progress on space acquisition with their rapid capabilities effort and, by streamlining the process, are reducing the time from concept to fielded capability. 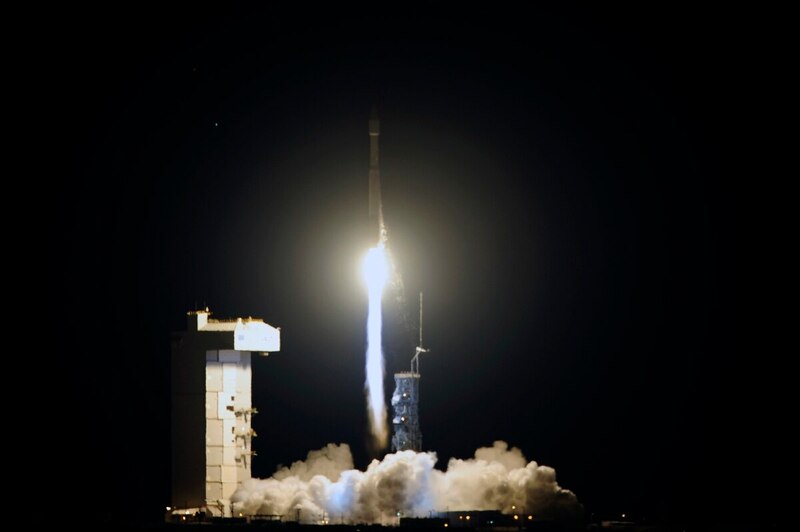 They are leveraging industry’s efforts to achieve reliable launch capability and assured access to space. A year ago, the Air Force began standing up a new deputy chief of staff in the Headquarters Air Force for space operations. Their proposed fiscal year 2018 budget increased space spending in the Air Force by 20 percent or $1.3 billion. In addition, a Third Strategic Portfolio Review proposed key space initiatives. Better tools and training enhancements are now being provided to space personnel to maintain readiness. They established a multi-service/agency National Space Defense Center for joint operating area defense which will provide threat and warning indicators in collaboration with DoD. A Multi-Domain Command and Control approach will be implemented across all war-fighting domains. They elevated joint space by dual-hatting the Air Force Space commander as joint force space component commander. Instead of breaking up the world’s most dominant Air Force and creating additional silos of bureaucracy, Congress and the Air Force should collaborate on the best way to leverage space to ensure our air and space dominance continues. It would also be prudent to consolidate previous reports and commissions’ findings on space and address fragmented organizations. Unity of command is paramount, so a single organization, with flattened space hierarchies, must be in charge of space. It’s Congress’ constitutional duty to provide the necessary resources for a dynamic, effective, credible, and modernized space capability for our national defense. They could do their part by providing the military stable and predictable budgets that are unlimited by artificial defense spending caps. Secretary Mattis chided Congress writing, “Because of the impact of 30 continuing resolutions over a 10-year period, we have been unable to take steps that would have assuaged Congressional concerns.” Reorganization will not solve that problem. Given the challenges our nation faces in the competitive and contested space realm, our nation deserves timely space budgets commensurate with our requirements and replete with new space technology for the 21st century. Congress should provide better oversight, more resources, and more acquisition flexibility to maintain the America’s leadership in space. Instead, they saddled the military with the Budget Control Act (BCA) with sequestration and partial year funding in continuing resolutions (CRs). This fails our nation by depriving the Air Force of the necessary tools and resources. Subsequently, the Air Force must make choices between winning current wars or investing for the nation’s future — when both are necessary and judicious. Keith Zuegel is a retired colonel in the Air Force and earned a Silver Star in Operation Desert Storm. He is currently the Air Force Association’s senior director of government relations.